Build a stronger mind and body with martial arts! 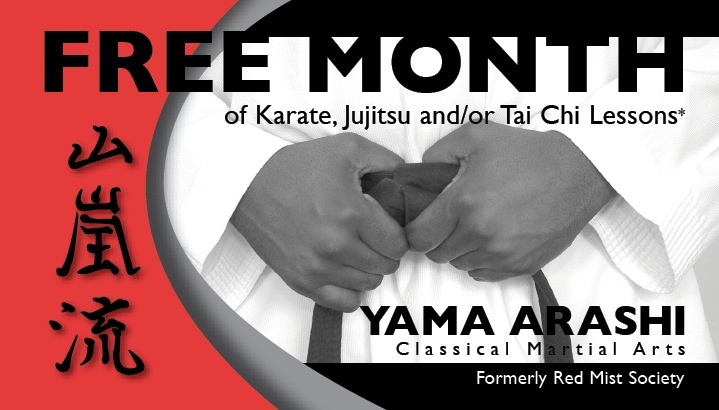 We offer jujitsu, karate (adult and child), tai chi and more for $30 per month. Membership is month-to- month with NO CONTRACTS. Present this card for one free month of classes (one per person).